California governor Jerry Brown used state experts to prepare a 51-page report on the prospects for oil development on his family’s private land in Northern California, according to an Associated Press investigation released early Thursday morning. “Senior staffers in the state’s oil and gas regulatory agency over at least two days produced a 51-page historical report and geological assessment, plus a personalized satellite-imaged geological and oil and gas drilling map for the area around Brown’s family ranchland near the town of Williams,” the AP reported. Brown’s office declined to comment, referring the AP instead to the California Division of Oil, Gas and Geothermal Resources, which said that the agency had responded to the governor’s request for information as it would have for any other citizen. Others who saw the maps of Brown’s property praised their detail, calling them “beautiful.” The AP used the state’s open records law to obtain the maps, as well as email correspondence confirming the governor’s unusual request. The state’s experts ultimately concluded that the prospects for oil on the Brown ranch were “very low,” the AP notes. The AP was tipped off to the research done for the governor by documents that emerged in a lawsuit by Kern County landowners alleging that Brown was allowing the oil industry to evade state laws protecting groundwater from contamination. It is illegal for politicians to use state employees or resources for personal benefit. The state agency said its work for Brown was legal. However, it could not provide the AP with similar examples of research for private citizens. 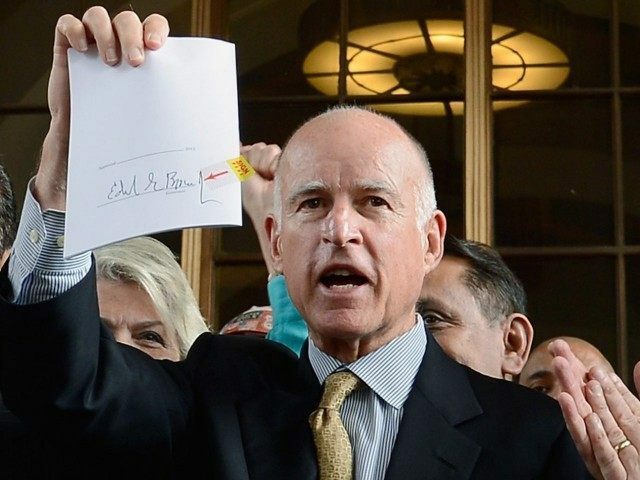 Over the past few years, as Brown has resisted calls by left-wing groups to ban hydraulic fracturing (“fracking”) in California, he has faced accusations that he has financial interests in the oil industry. Brown’s support for fracking seemed to contradict his push against fossil fuel use as part of his policy on climate change. In August, Chriss Street of Breitbart News noted that Brown owed much of his personal wealth to investments in oil, although he also had a plausible policy interest in protecting fracking because of its contribution to state tax revenues. Brown has been cited as a potential “dark horse” candidate for president, but has declined to enter the 2016 race.